My blog may be 80% about food and restaurant reviews, but it's also interesting to write about other things I love once in a while. That is why when Daiso invited me to check out their Kawaii Fashion Festival and shop some items for myself, I just couldn't contain my happiness. When I hear of kawaii, the first thing that comes into my mind is Japan. I have very little fascination about Japanese pop cultures and trends like anime, manga and cosplay, but I find them cute and adorable. Shopping at Daiso is just like that. Everything is just so cute and lovely. My first shopping finds are something for my hair. I am a low maintenance girl when it comes to my hair, that I seldom go to salons for treatment and haircuts. But I just want two things: SHINE and VOLUME. Lucky for me, Daiso just had the perfect solution for my long, thin and limp hair. I was a bit skeptical with the Charcoal Hair Treatment, but then I thought, Japanese girls have really nice hair right? My curiosity got the better of me and so I grabbed one bottle. I also got a Volumizer Hair Comb which I have been meaning to buy. 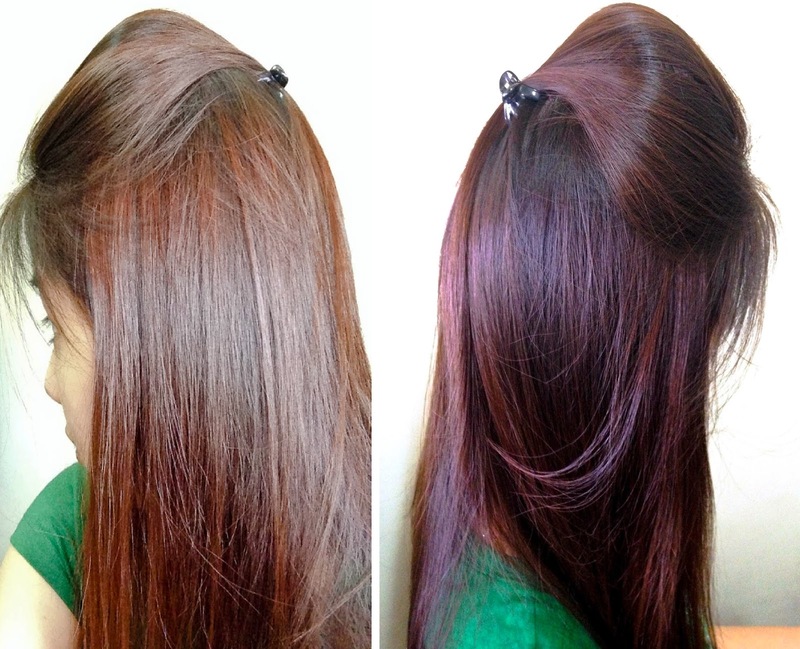 Sumi Charcoal Hair Treatment serves as a hair conditioner after shampoo. It has a consistency of a conditioner with a mild fragrant scent, and a grayish color with tiny black particles. I applied a small amount into my hair and waited for few minutes before rinsing it out. It's not as greasy as other conditioners, and it left my hair soft and tangle-free after using. I'll religiously use it in the next coming days to see further results. My next haul is this Volumizer Hair Comb. Since it's a 2-way volumizer, I can create medium volume or larger volume just by adjusting the comb. You may do away with the smallest piece to create a smaller volume. It's so easy to use. A step by step instructions can be found at the back of its packaging. The result? Tada! Smaller Volume on the left photo and bigger volume on the right photo. In fairness, it was a good hair day for me after using Sumi Charcoal Hair Treatment. I am so happy with my Daiso finds! It's my first time to use a hair care product I've never heard of before and actually liked it. Excited to try the other skin care products I got from Daiso. Nice color on the ryt side.